Air vents – bonnet and carbon body vents. Jeep car tuning tips and advice. 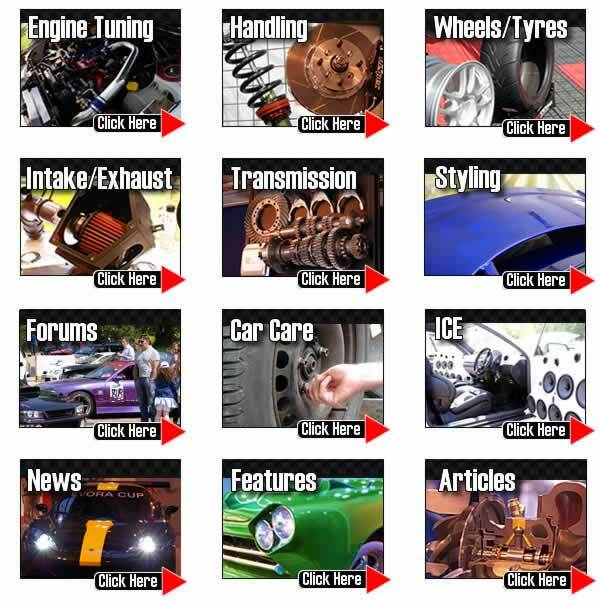 We have a wide range of tuning articles covering all models of Jeep from Diesel powered models to large power petrol engine models. If you want to go off road or just enjoy the ultimate on road drive in your Jeep, follow our tuning tips you will avoid many of the common mistakes and actually achieve the car setup you desire. Please join the forum for model specific questions and answers and to meet other owners and see what modifications they have done. TorqueCars started providing Jeep tuning help, car modification and car engine tuning tips and tips right back in 2003 and have grown from strength to strength with a fast growing membership of all types of cars including many, Jeep owners. We are currently one of the fastest growing car tuning clubs around and certainly one of the friendliest. In 2007 we also organised our first full car show. Our Jeep tuning articles and styling tips and features are constantly being updated and refined so to keep upto date with what is hot in the tuning wold and for the most recent Jeep tuning,modification and engine tuning advice, tips and pointers please check back regularly. We strongly recommend that you join our Jeep forums and swap tuning ideas with like minded Jeep owners in the tuning forums. We would like to hear about your interesting Jeep projects, so drop into the forum, post up a new thread and pass on your tips, we love to see members car pictures and have an ever growing gallery. Scroll down the page to see our latest tuning articles for your Jeep. Let’s take a look at ways to tune a car engine and what exactly we mean by engine tuning. First up we have to accept that there are many different types of engines. We can only cover generic theory in this article on how to tune a car and suggest if you want more specific advice you sign up to our car forums where our helpful and friendly members will assist you further. Lightening the flywheel – the flywheel works in a similar way to the wheel in the toy cars you used to rev up and release and let it zoom off. The heavy wheel located between the engine and the gearbox builds up rotational force with speed and momentum. Effectively storing the energy and helping the car resist changes in engine speed – good for cruising at a steady speed but bad when you need a fast engine response. Reducing the compression ratio is required if you want to run a high boost supercharged engine. High compression NASP engines are quite efficient but when adding forced induction you want to lower the compression ratio. The compression ratio has a dramatic effect on an engines performance and the problem of knock, (where the air fuel mix prematurely ignites) is controlled to a large degree by the compression ratio. The clutch takes the engine power, and puts this down through the drive shaft, to the driven wheels on the road but allows you to disengage the engine whilst performing a gear change. Contact like this requires a lot of grip and a fast response. The more power you have the harder it is for the clutch to operate. Both work on the same principle they blow air into the engine under pressure. Both have a turbine which spins up depending on the engine speed and the higher the revs the greater the volume of air is forced into the engine. But there are some major differences between the two and which is best for your project?